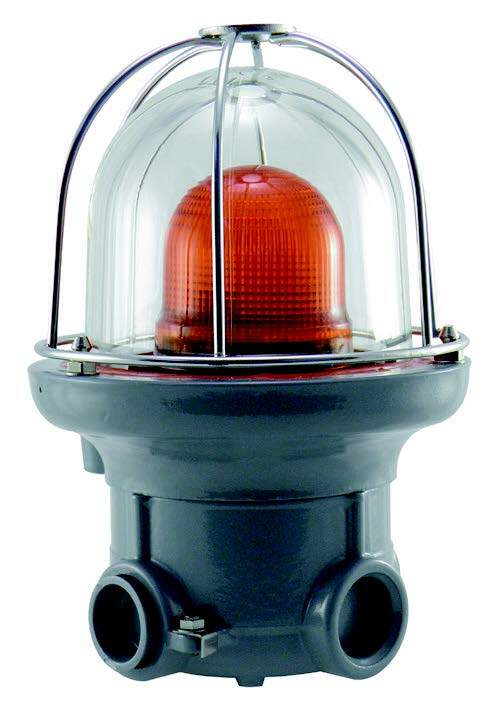 Springer Controlss ATEX rated explosion proof bicolor dome light offers an affordable and flexible solution for signal lights in hazardous environments. 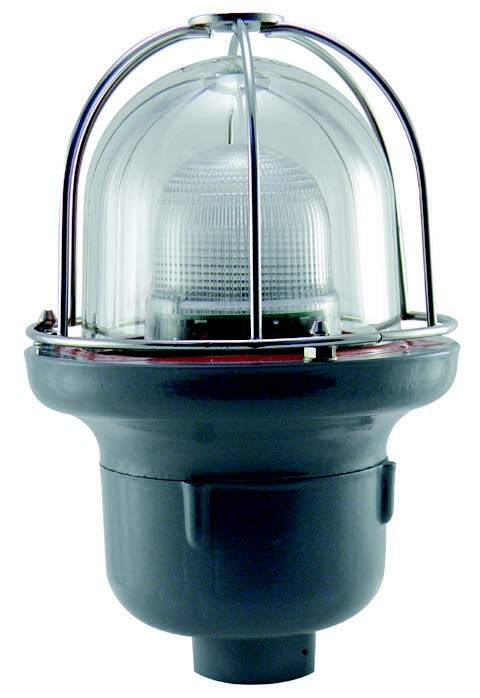 Featuring an aluminum alloy housing, with a robust borosilicate glass dome and optional stainless steel guard, this light is rated for ATEX zones 1, 2, 21 and 22 for both hazardous dust and gases. Wire connections are made with screw terminals via aa 3/4″ NPT conduit connection for safe installation. A bright LED provides superior visibility, durability and long life, while only consuming 50mA of power at 24VAC/DC input power. Flashing or steady lights available, with the color options listed below.